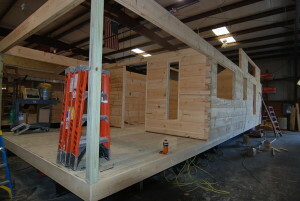 How do we make our cabins? 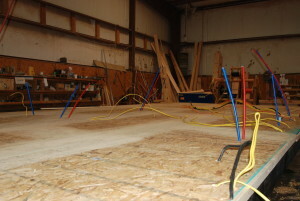 A visual tour for those out of the area…. 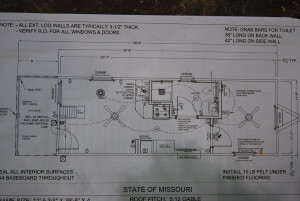 This customer picked their plan, signed-off, and our guys completed the set of cad documents. 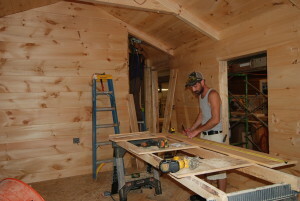 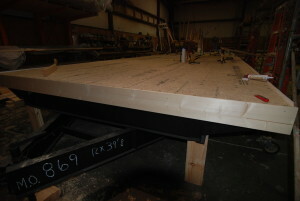 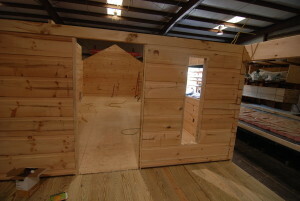 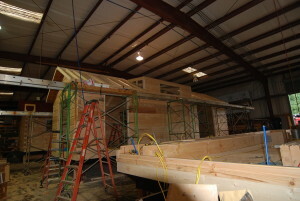 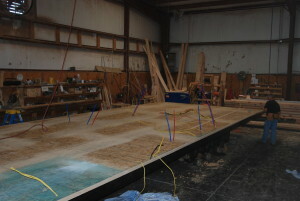 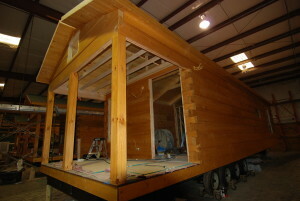 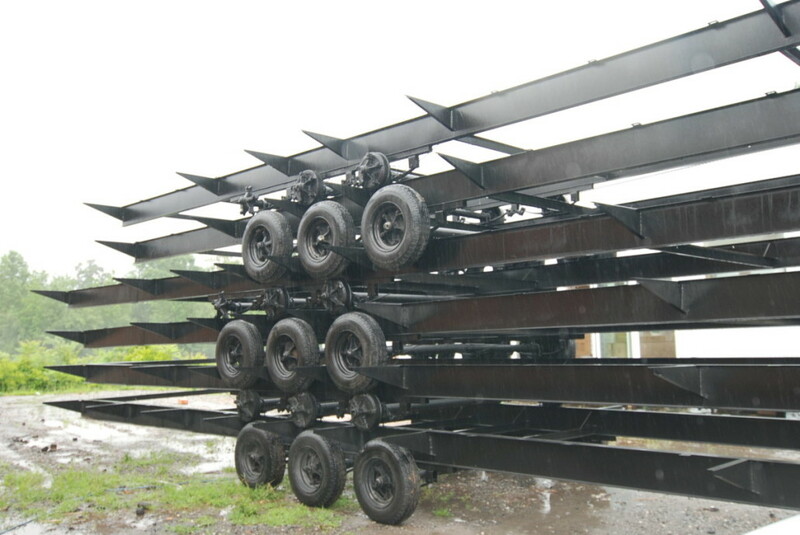 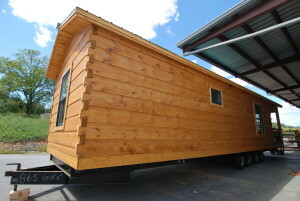 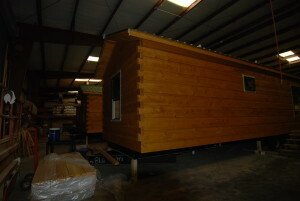 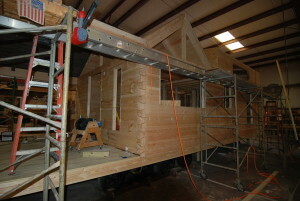 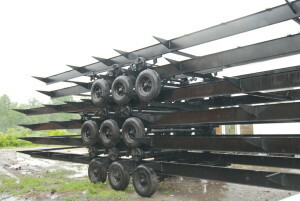 The process starts from the ground up with a sturdy frame custom built for each cabin’s specifications. 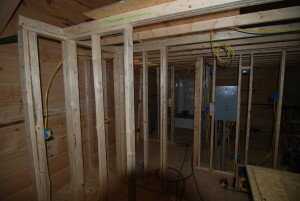 The rough electrical and plumbing are installed. 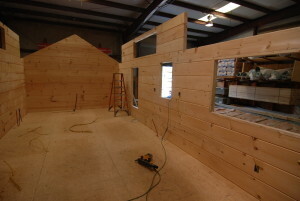 All placed to specifications for the plan. 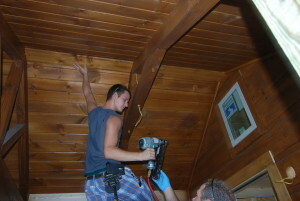 Remember those sturdy 16′ logs that are over 4″ thick and a foot tall? 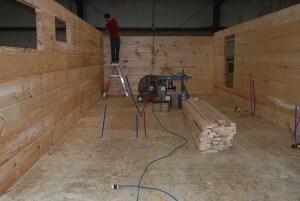 In Bay #2 the logs are stacked one by one and screwed into place. 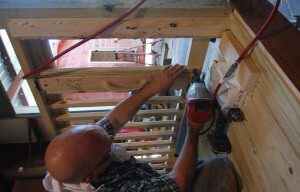 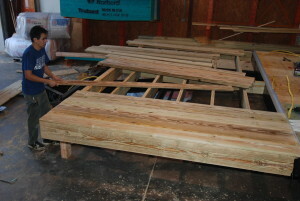 Carefully following the plan to accommodate the openings for windows and doors. 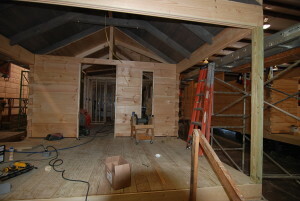 Ceiling and roofs are installed. 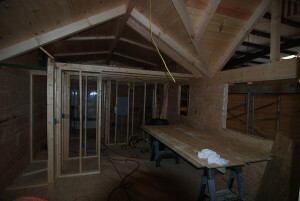 In Bay #2, interior walls also go up. 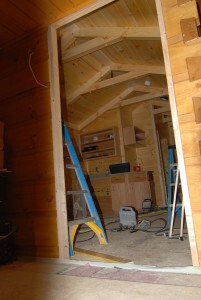 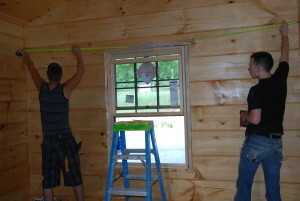 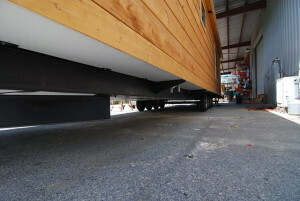 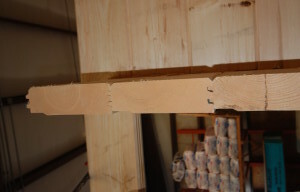 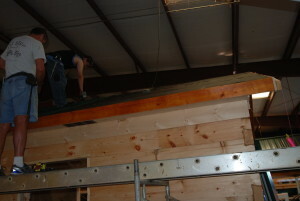 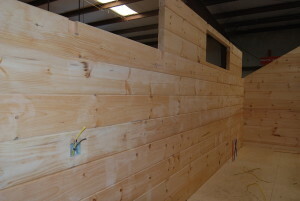 The interior wall construction also resembles a stick built house with 2×4’s placed 16″ on center. 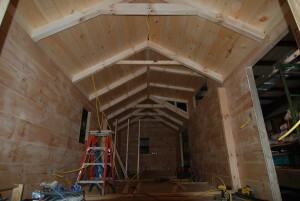 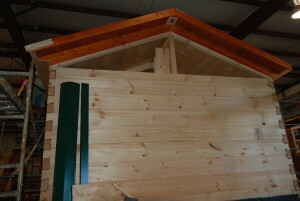 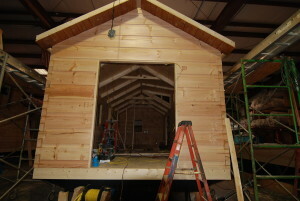 Bay #3 concentrates on the interior portion of your cabin. 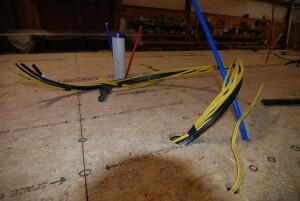 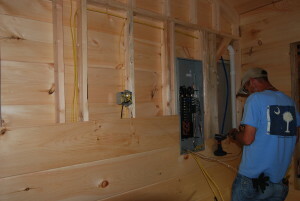 Power and plumbing are pulled directly up and your outlets are placed per the building code. 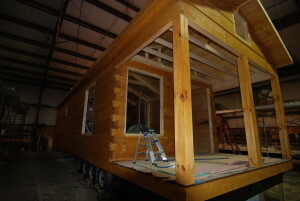 In Bay #4 your cabin looks like your cabin with everything coming together. 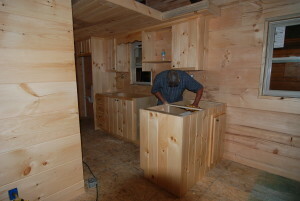 Finishing touches – your lighting and fans are placed. 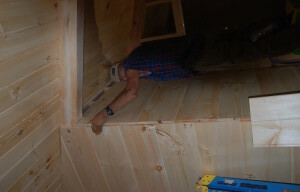 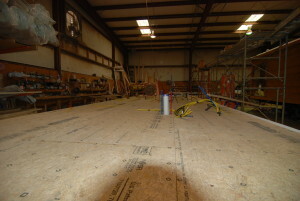 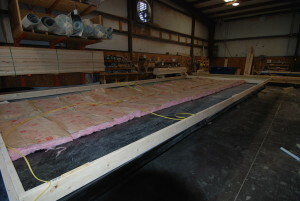 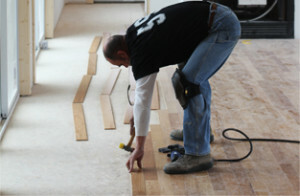 Bay #5 includes installing the flooring, HVAC, and all trim. 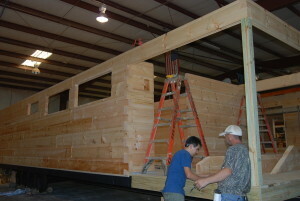 Your cabin should be almost ready! 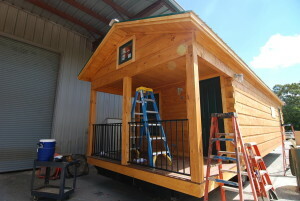 It’s given a twice over and cleaned. 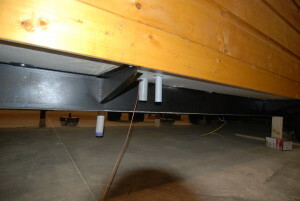 Drops are directly below utilities for easy hook up and maintenence. 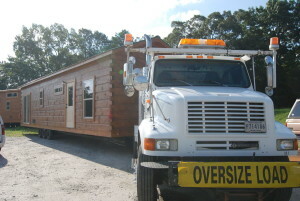 Now, it’s ready to be delivered!